The popular image of immigrant detention is still that of a young, male criminal. However, mothers continue to be a growing population in detention. Detention separates mothers from their children, causing emotional pain to the women separated from the center of their lives. 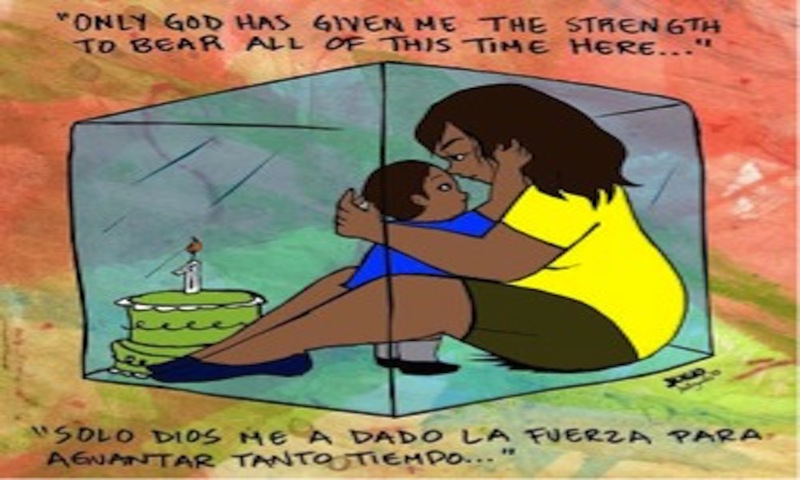 Mothers in detention continue to express their love for their children in various forms, such as art, to keep the love for their children as a beacon of hope in their time in detention. On the outside of the gates of these detention centers, life for the children remains difficult as well. Without a guardian to watch over them these children remain subject to being placed in foster care in one year. According to the Applied Research Center, more than 5,000 children were put into foster care in one year because their parents remained in detention. Some never see their parents again due to deportation or continued detainment. A system that has ensured the nation that it is protecting its people destroys one of the structures it holds dearest, families. The immigrant detention system does more than hold criminals; it separates mothers from their children.